ALLDOX BUSINESS - DOCUMENTS by ALLDOX, Inc.
A document ATM, a vault, an assistant and a private document intranet for your business, ALLDOX will make your business ORGANISED with documents, always. 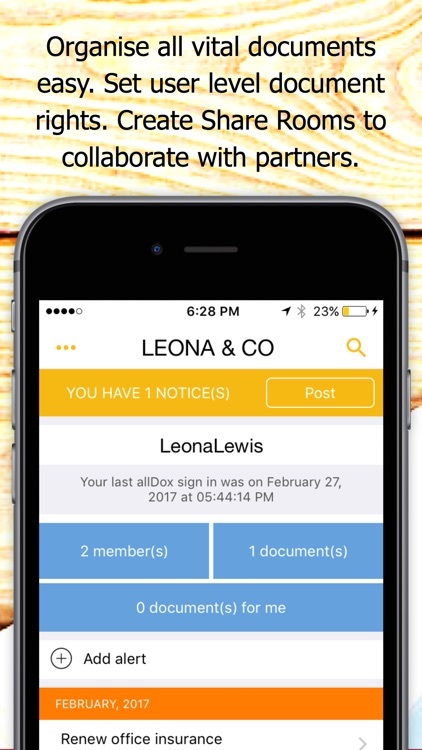 Scan, Safe-keep, Find Original Paper Documents, Share within organization & with outside world, Sign and more, Online & Off-line, Easy & Secured. Do your documents have an annoying habit of disappearing when you need them the most? Do you keep everything a little too safe to find it when you actually require them? Do you struggle to keep all your team on the same page with your documents? Are you losing time, money and your peace of mind on documents? Not anymore. 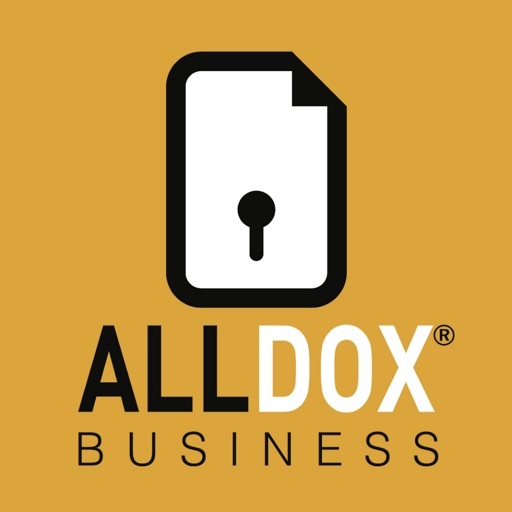 Get ALLDOX, a powerful & secure tool to make you, your team and your business always organised with documents. 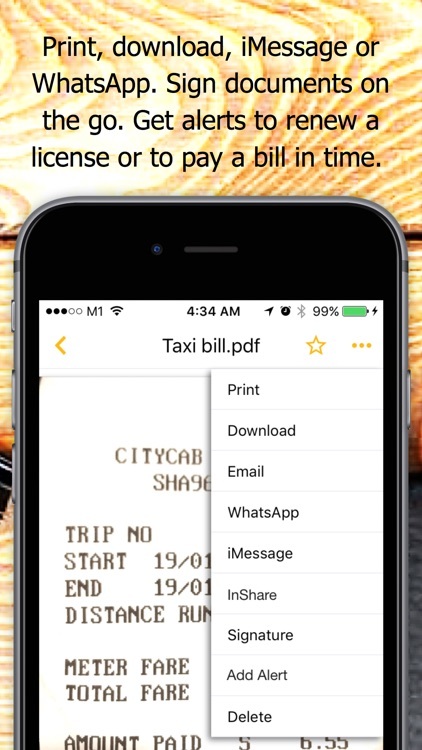 Scan, store, find & share them anytime, anywhere - in most secure way! With high level encryptions and bank like security protocols ALLDOX is secure & private - its' your 'Electronic Safe Deposit Vault' ! All your documents are hosted in AMAZON, one of the safest possible storage facility. 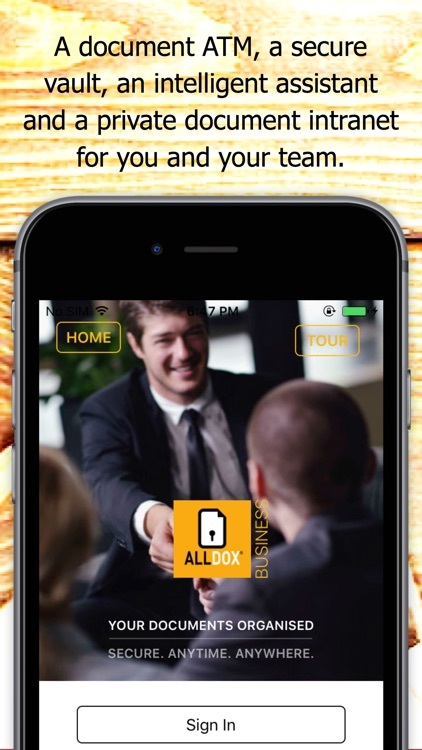 Available as mobile and web app (www.alldox.com) so that you and your team stay connected with your important business documents always. 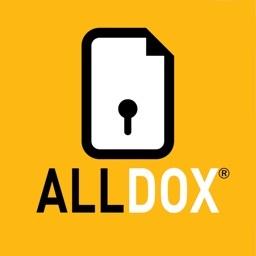 Everything about document management is here in this great tool, created with years of consumer insight & experiences of ALLDOX customers across the globe. * Multi user plus an admin account with shared private storage space. Your business can have public, shared and individual document storages with easy and flexible rights management. You have your private notice board too. * Upload, Manage & Search your documents from anywhere – you can even auto upload documents via mail using ‘AutoDox’, an exclusive feature created for busy people like you. 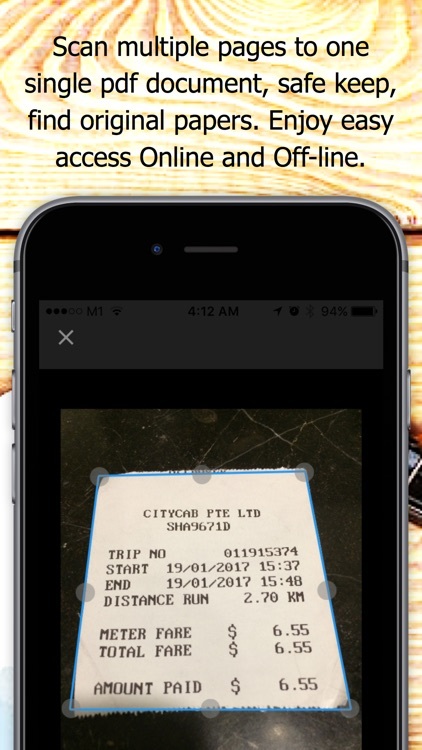 * Scan paper documents effortlessly with device camera anytime, anywhere. * Manage and track original paper documents – Never forget where you keep your original documents, so safe that you don’t even remember where they are! Always remember to get your originals that you have given to someone else. ALLDOX is your trusted virtual assistant. * Alerts - Get alerts to pay your bills on time or renew a license. * Two factor security - For a more secure account access. 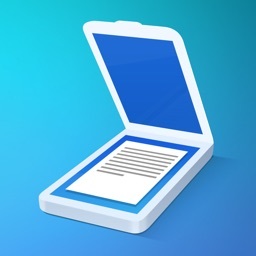 * Offline Documents - Access and manage your documents even when you are not connected. 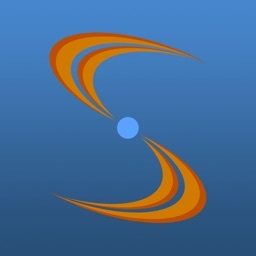 * ShareRoom - Create a data room for easy and safe sharing for your document with others or for a project with multiple participants including external partners. * Sign on the go - No need to rush to a printer or scanner to sign a document. * Plans renew automatically after a month or a year as applicable. Payment will be charged to iTunes Account at confirmation of purchase. Subscription renews automatically unless auto-renew is turned off at least 24-hours before the end of the current period. Account will be charged for renewal within 24-hours prior to the end of the current period. 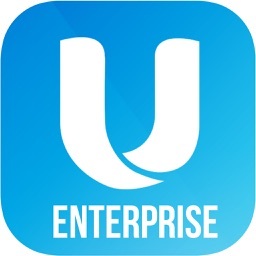 Subscriptions may be managed by the user and auto-renewal may be turned off by going to the user's Account Settings after purchase. And its’ simple, so simple that everyone can use it easy - as easy as 1-2-3. ALLDOX is an easy and intelligent tool with high security and privacy through bank-like information security including encryptions, two-factor authentication and more. Documents are hosted in AMAZON, one of the safest possible place on earth. 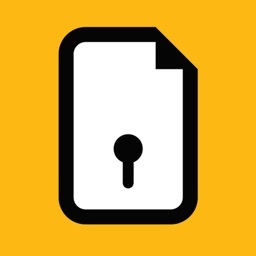 Nobody, other than you and your designated team members, can or will see your documents. Safety and security of your documents are understandably important to you and of paramount concern to ALLDOX. So what are you waiting for? 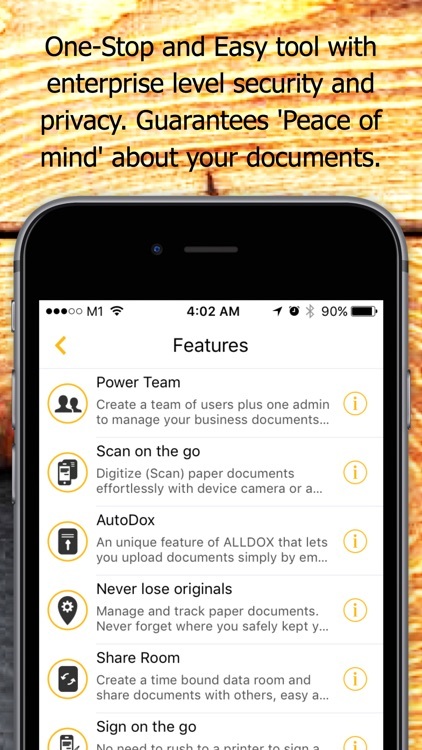 Go get ALLDOX and make your team and business more organised and super-productive with documents, right now!